A two-year-old boy is in a critical condition in hospital after being pulled unconscious from a swimming pool at a Hampshire hotel. 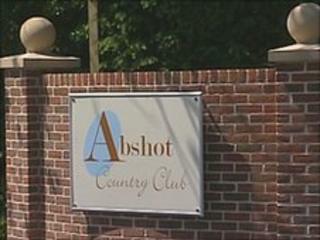 He was found at the bottom of the indoor pool at the Abshot Country Club, Titchfield Common in Fareham shortly after 1930 BST on Saturday. An investigation to establish how he came to be in pool has started, a police spokeswoman said. The boy is being treated at Southampton General Hospital. Police said he was at the hotel and country club complex with his parents, where there was a screening of the World Cup match between England and USA at the time of the incident. An ambulance, paramedics and a BASICS doctor arrived at the scene within minutes of the 999 call, South Central Ambulance Service said. BASICS doctor John O'Neill said: "The boy was found in the swimming pool of the hotel. He wasn't breathing. He was given CPR by some bystanders. "An ambulance crew arrived shortly afterwards. Myself and a paramedic arrived to back them up. "We intubated him - put a tube down his throat to stabilise his breathing. "That stabilised him to the point where we were able to take him to the children's intensive care unit at Southampton General Hospital."